The canopy of a huge Fig tree creates much needed shade in the courtyard that houses Cafe 8 and a few other businesses. Denmark, the small country town west of Albany not the country, has a few cafes and after perusing, I manage to find Cafe 8 tucked away behind a bakery and that Fig tree. No doubt you will pass through Denmark at some stage. Perhaps to visit one of the wineries, on your way to the Valley of the Giants where the only Tingle Trees grow or to cool off in the swimming pool like waters of Green Pools. It’s easy to overstay as Denmark has much to offer. 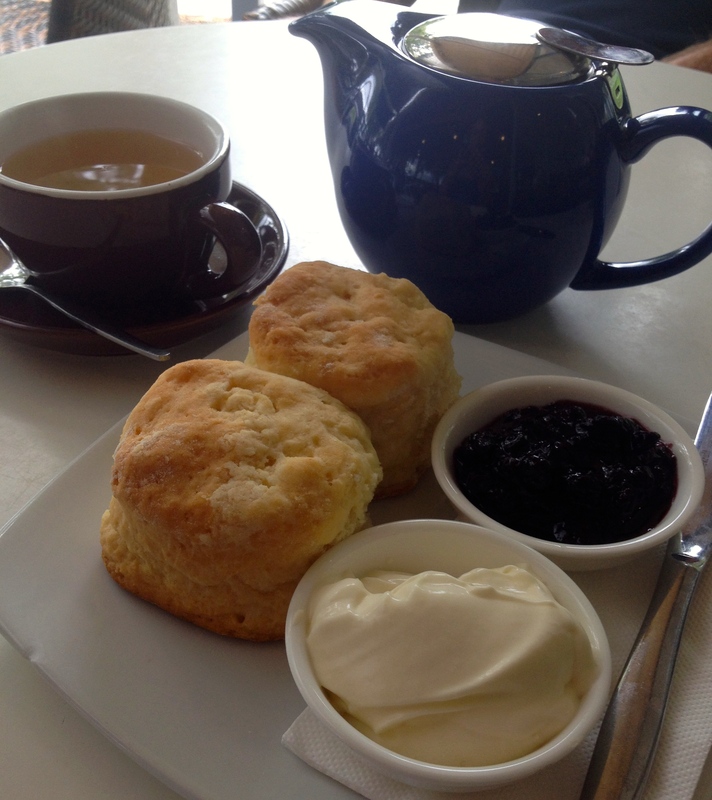 Cafe 8 promises homemade fare, and they aren’t lying, the scones definitely fall in to this category: light, fluffy and tasty. The jam is a commercial variety but rich and tastes of more than just sugar. The whipped cream has been prettily deposited on dishes and thoughtfully refrigerated. A great idea for warm days. Tea: A small variety of loose-leaf teas and tea bags served in good-sized pot. Overall: Surprisingly good and as promised – homemade. 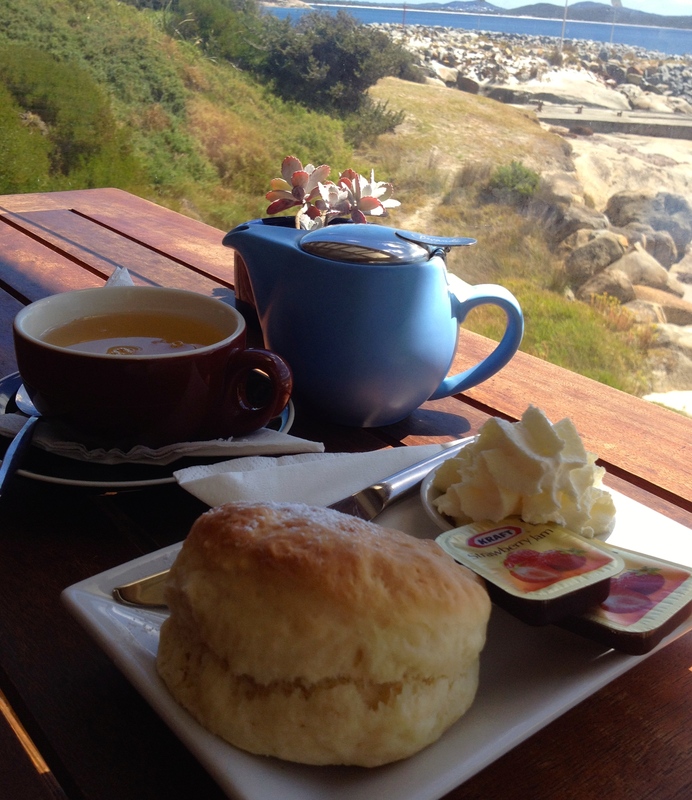 It’s a shame there aren’t more cafes in the south-western corner of Australia like Emu Point Cafe. I notice a definite deficit in venues with world-class water views and a decent menu (note non kiosk style of food). After the breakfast rush is over I have a choice of outdoor tables with sublime views over Oyster Harbour and the neck of water that separates it from King George Sound. The menu is varied with some interesting seafood dishes (local seafood at that) and I wish I were around for lunch. At first sight I am impressed with the Devonshire Tea. This is my sixth in a few days on the west coast, and so far the best. The blackberry jam is exquisite and the double cream a blessing with the combination of both really adding flavour to scones that are a bit tasteless. The staff is friendly and the buzz reminds be of a beachside café in Sydney. Overall: A prime position overlooking Oyster Harbour. Porongurup Shop & Tearooms although feeling quite isolated is surrounded by a plethora of wineries and cellar doors. The rocky Porongurup Range rises up behind the property and serves not only as a splendid backdrop to the area but is a magnate for hikers and daytrippers from Albany 50km further south. Opened in 1937, the Tearooms feature a general store where you can pick up local arts and crafts and basic necessities, as well as fuel from a bowser that resembles Ned Kelly. Alongside the Devonshire Teas, homemade meals feature heavily on the blackboard menu, and I’m tempted to order a few dishes. There are several places to settle in: the tearoom itself, a grotto style outdoor area, in the garden, or out the front of the shop. Two crispy scones are served that look very much homemade and have great potential as they hit the mark on taste. However, both of my scones end up having thumb-size hard pieces of dough throughout that are inedible. The strawberry jam is syrupy rather than rich and fruity, and although the cream is fresh, it’s quite lightly whipped. The Devonshire Tea is delivered with warm and friendly country hospitality, which definitely makes up for my dubious scones. Tea: A choice of tea bags served in a cute small teapot with extra hot water for a top up. Overall: A cute cafe well worth the stop to absorb the areas ambience. Whaling was always big business in Albany, peaking in 1845 before its rapid decline after the discovery of petroleum oil in 1859. After a resurrection of the whaling trade, Cheynes Beach Whaling Company set up camp in 1952 along the pretty coastline of Frenchman’s Bay and hunted Humpback and then Sperm whales until its closure in 1978. By 1980, this former site of slaughter was transformed into an historic Whaling Station and takes its place in history as the last whaling station to operate in Australia. Although it’s a terrible part of our past, I am still fascinated by what went on here. It’s easy to spend half a day wandering around exploring the Norwegian whale chaser, watching a few short films and checking out the old whaling gear. There are lots of stories to read about ships and crew, and the 45-minute tour is a good way to get your bearings. Whether you leave feeling appalled or relieved at how far society has come, you best stop at Whalers Galley Cafe to reflect. Considering the amount of carnage that went in this bay, the serenity is astonishing. The café has a cosy indoor area with floor to ceiling windows to capture as much of the sun as possible, and a large outdoor deck that can be opened right up in warm weather. I order just one scone, which is fluffy with a creamy texture. Unfortunately the scone is let down by the Kraft sachet jam and the ‘too’ light cream. A better quality jam and cream would definitely boost this Devonshire Tea into the amazing stakes. Visit the Botanic Garden and Australian Wildlife sections of Discovery Bay if you have the time or the inclination. Tea: Tea Drop tea pouches served in a teapot. Overall: A view to die for. A cruise ship pulled in to Albany early this morning and the town is unusually busy. Cafes are full, groups wait eagerly for Harley Davidson rides and the Western Australian Museum has a steady stream of visitors. For a small town, Albany has lots of attractions. Apart from the pretty coastline and King George Sound, and the recently opened National ANZAC Centre, Albany has a wealth of history, which even predates Fremantle and Perth. Since there is so much activity in town, I decide to lap it up and pull up a chair at York Street Cafe Restaurant. It’s pretty much in the middle of the main street and feels relaxed. I order one scone, which looks like it’s come out of the oven that morning (which, incidentally should be a given). It has a lovely texture and flavour, but is slightly dry. 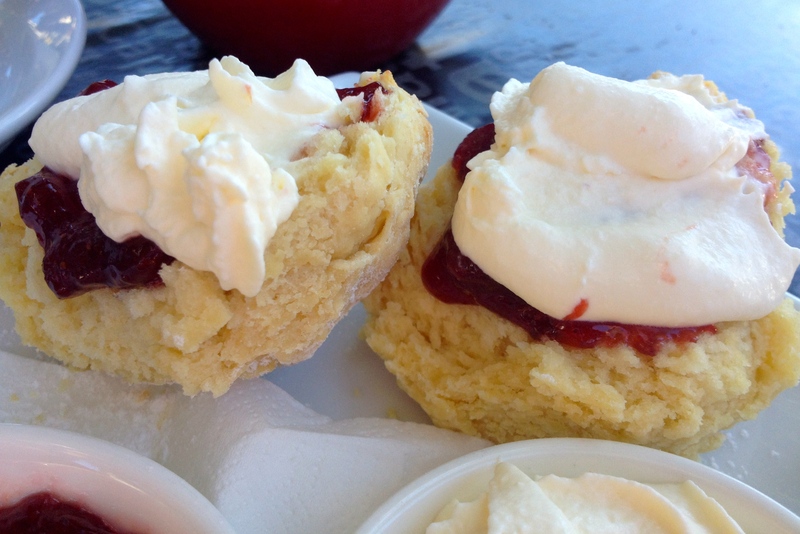 The raspberry jam is rich and fruity, and the double thick cream complements the scone and jam well. 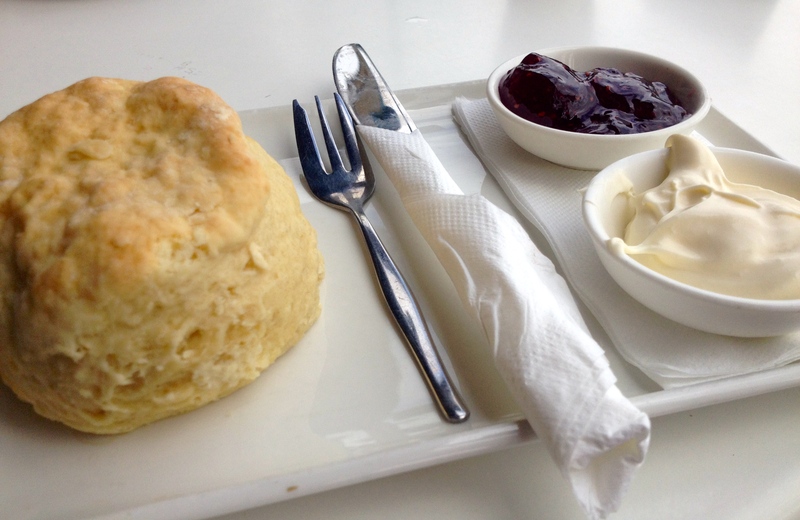 Overall: An excellent choice for scones in the main downtown hub. 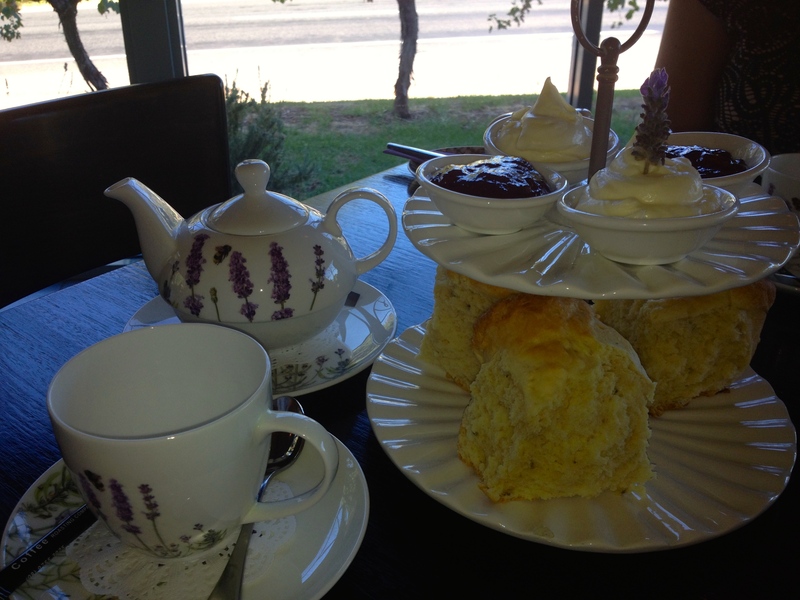 Before I even enter Cape Lavender Tea House I can smell wafts of lavender floating through the air. Inside, the lavender theme is hard to ignore with the purple hue ever-present in the decor. Purple is my favourite colour so I am in heaven. There are a few small rooms to poke around in if you are in the mood for some shopping or want to try some luscious beauty products or jams. My senses are overloaded with so many perfect little details from the cow shaped milk jug to the lavender print on the tea ware that, no doubt, help create a highly successful tea house. 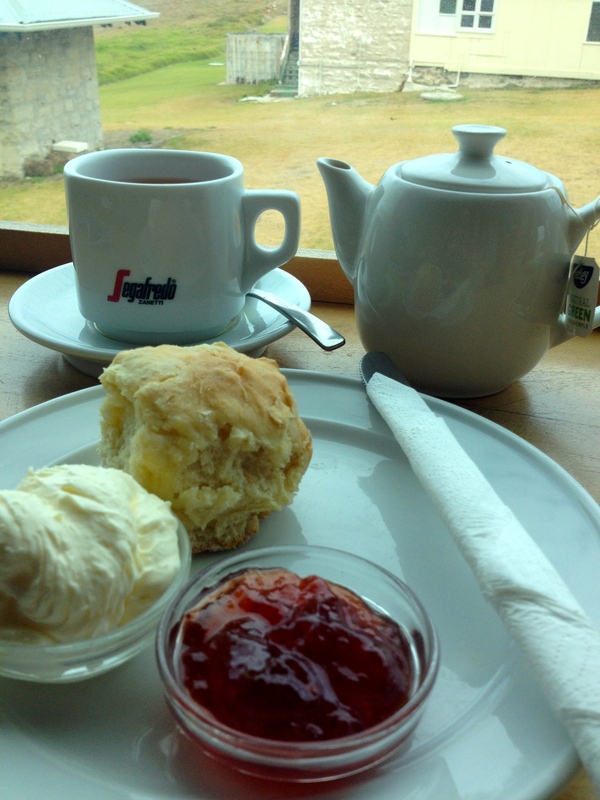 The three choices of scones; lavender, plain and savoury (chives and cheese today), is bound to be a crowd pleaser. We are served strawberry jam infused with lavender, but if I’m honest, I am so infused with lavender – it’s in my scone, my tea and I’m surrounded by skin products that smell good enough to eat, I must say that I really can’t taste it. Apparently the jam flavour changes throughout the week, rotating between lavender infused raspberry or plum. The cream is thick and rich and tops off a sensational spread perfect to share with new or old friends. The little extra features like lavender printed crockery and the sprig of fresh lavender in the cream is a lovely touch. Don’t forget to taste the wide range of jams before you leave and maybe pick up some lavender tea and other goodies to take home. Tea: A good choice of T2 loose-leaf teas and an organic decaffeinated lavender black, blended on-site. Overall: Sensational! Don’t miss it! Tea: A basic range of tea bags served in a good-sized pot. Overall: It is after all the most south-westerly point on the continent. The Cottage Cafe is part of The Berry Farm’s extensive business plan, which includes 10 hectares of avocado trees, a large orchard, a berry patch, plus a Cellar Door brimming with berry and fruit jams, jellies, preserves, sauces, syrups, dressings and naturally fermented vinegars all produced on the farm. If you want something a little stronger, the Cellar Door has tastings of the Club House Series Ports, sparkling wines, liqueurs, Thornhill Wines and Berry Farm Cider. The nearby cafe is literally in a cottage bookended by a couple of courtyards filled with seating for diners as well as a kiddie’s playground. Indoor seating is available but limited, and there’s enough undercover space if the weather turns. It’s morning tea time and the scones are not long out of the oven, light and fluffy. Today’s jam is strawberry and as far as strawberry jams go, is sensational – rich and fruity. The cream is freshly whipped, and I just wish there was more of it, including the jam, as I love to load up on the toppings! 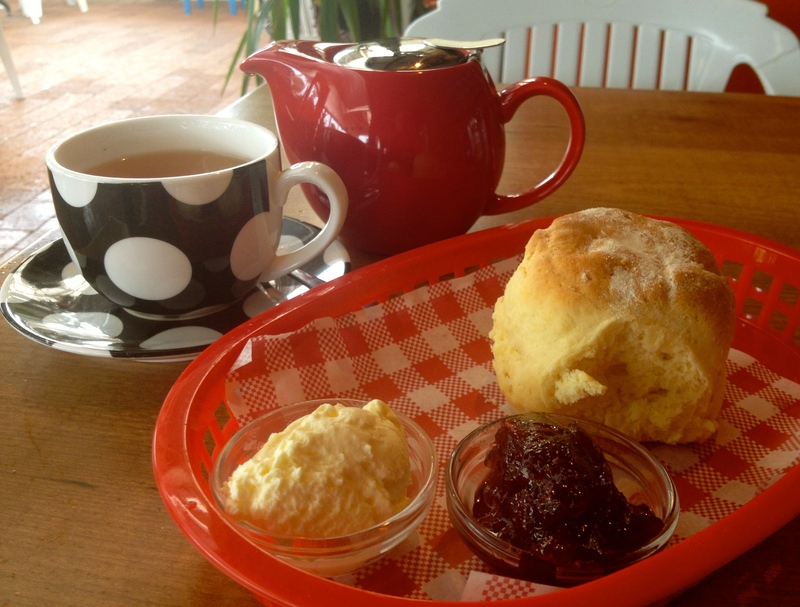 The cafe is definitely on the Margaret River tourist map, so expect crowds on the weekends and in school holidays. Tea: A selection of loose-leaf teas with a few interesting flavours such as raspberry/lime and strawberry/rhubarb served in a pot. Overall: A cute garden and something for the whole family to enjoy. Driving in, I like Augusta immediately. It feels ‘southern’, like a fishing village teetering on the edge of the earth, and I guess the unseasonal fog doesn’t help the vibe. Although unseen from the town centre, the Blackwood River that flows down from Margaret River, spills out into the Southern Ocean nearby, so locals and visitors have the best of both worlds: river and ocean. I’m not sure what makes Deck Chair a gourmet café. It smells like a take away shop and looks much more impressive on the outside than the inside. What café closes its kitchen at 1pm on a weekday? Isn’t that the middle of lunch? 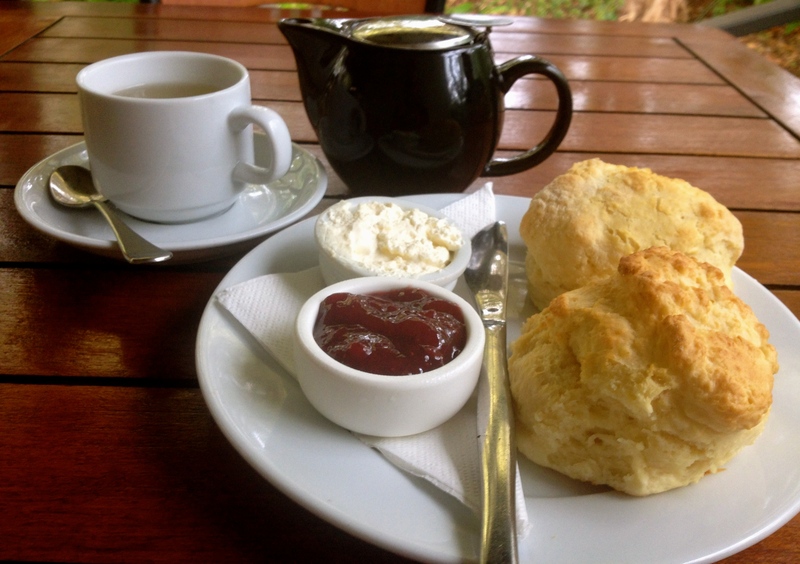 I also do a double take when my partner pays $19 for a coffee and a pre-made sandwich but my Devonshire Tea is a reasonable $8.50, but that’s with only one scone. The now common catch cry of “its WA after all” is wearing a bit thin. I nab the last scone that punches well above average for taste and texture. The jam is better than most commercial varieties and reminds me of the XL canned jam from my childhood. The cream is freshly whipped and refrigerated to keep its appreciated firmness. The café closes by 3pm, so make it an early afternoon tea. Tea: A small selection of loose-leaf teas served in a pot. Overall: The biggest café in a picturesque seaside town. There are more wineries in the Margaret River Region then you’ll have time to poke a stick at, and a few with restaurants and cafes. If you can tear yourself away from the pristine beaches that look more tropical and spectacular than most I have seen in south-east Asia (and I have seen probably 75 per cent of them), then you are in for a treat with some mouth-watering menus and amazing wines. 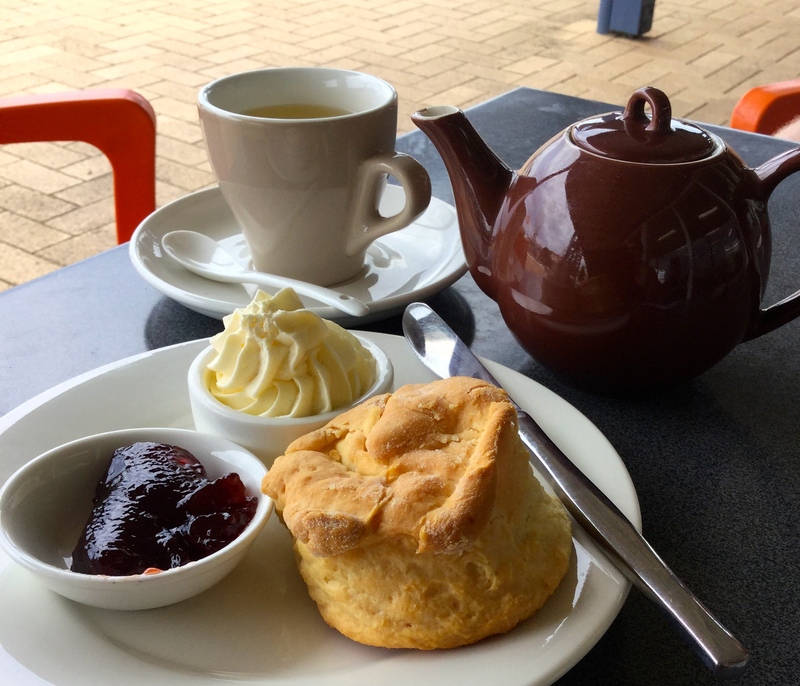 Short on time, I scour Trip Advisor and find a review on the scones at The Nookery Cafe at Woody Nook Wines, a slightly out-of-the-way and unknown to me winery. The review describes large scones but nothing could prepare me for how big they actually are. 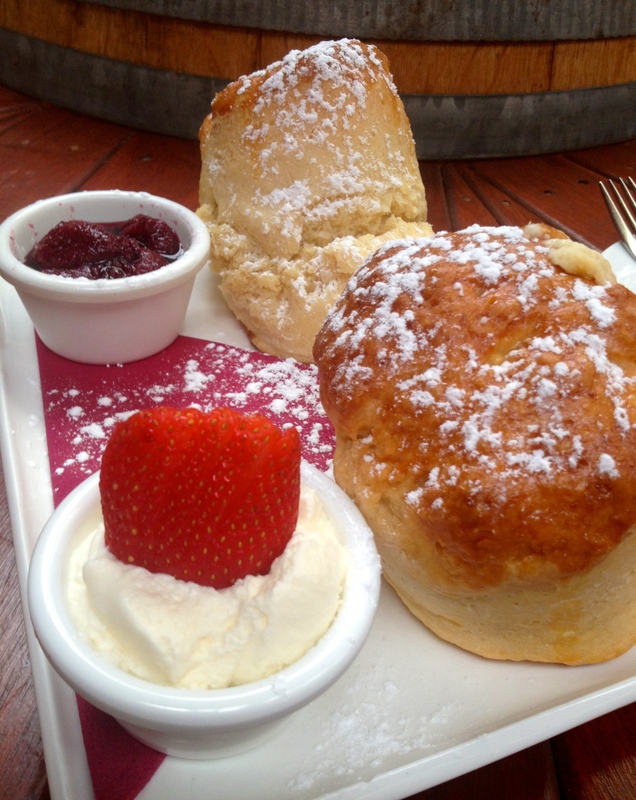 Scones on steroids is how I would describe them, and large is not always best because they are far too large for morning or afternoon tea, even if you are sharing. 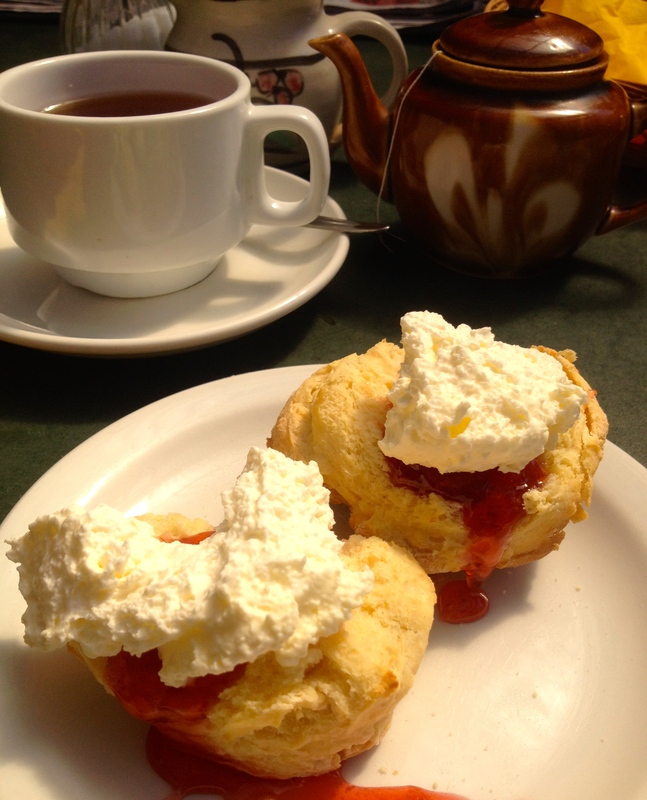 To me, the scones have a strange flavour that I can’t put my finger on – maybe it’s the icing sugar on top. The cream is sweet and light, and the fresh strawberry is a nice touch. I’m not a fan of chunky preserved fruit in a bit of sweet syrup masquerading as jam. It’s like eating a fruit sandwich, and I stopped eating those when I left primary school (think banana sandwiches). Wineries are often associated with inflated prices and gourmet food but it’s a bit ridiculous. Not only are the two scones accompanied with only enough jam and cream for half of one, but also the price is a bit high. The tea is a run-of-the-mill Twining tea bag and I have to actually go up and order my meal at the bar. With prices like this it’s absurd! ‘It is WA after all’ comes to mind yet again! Tea: The usual variety of teas found at most cafes. Twining tea bags served in a pot. Overall: An intimate winery experience.